Data isn’t hard. You don’t need a PhD in Data Science to understand big data. I spent years running reporting services in the finance industry. The truth? 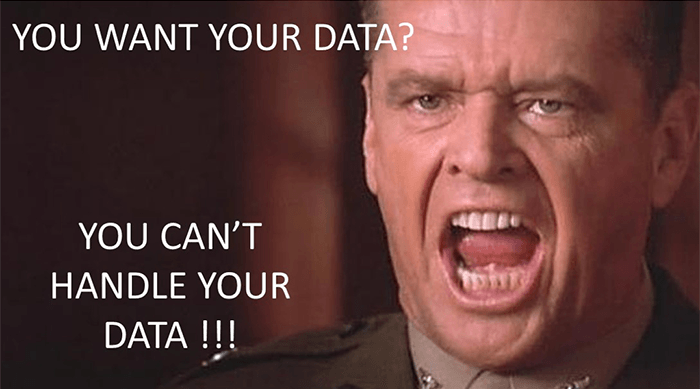 We don’t want to give data to you. We don’t trust you to draw the correct conclusions from the data. This may be because the data is not “clean.” Maybe we haven’t done as good a job as we should have in storing data. Maybe we want you to NEED us to provide you with answers. Once you have the data, we don’t know what you might do with it; how you might try to use it; with whom you might (intentionally or unintentionally) share it; or, how you might corrupt it. Exponam .BIGTM files make data sets portable, secure, and tamper-proof. The Exponam ExplorerTM makes filtering and sorting data easy and fast. No need to ask your IT group to run queries for you. You don’t need to wait for someone to create custom reports. It’s your data. Download. Share. Explore.